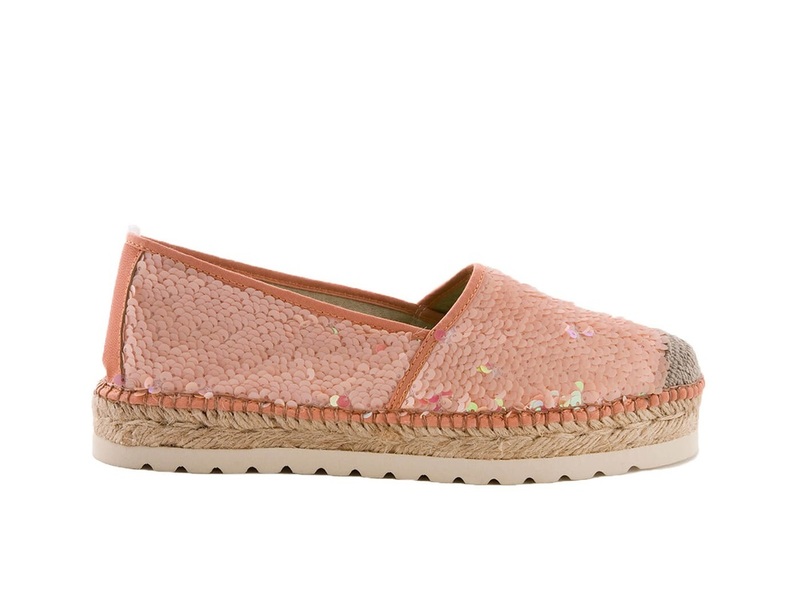 AEDO's Hondarribia are hand-sewn espadrilles. The rear is in matching colour and the toe is hand-sewn in natural rope. 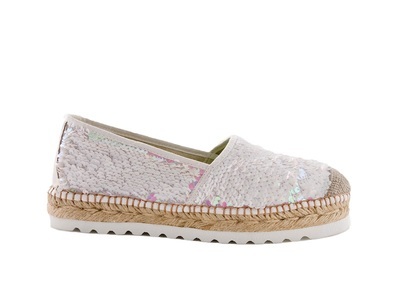 The chunky serrated white rubber sole and natural jute sole offer style and comfort. Made in fabric with sequins. Available in Ivory and Salmon. 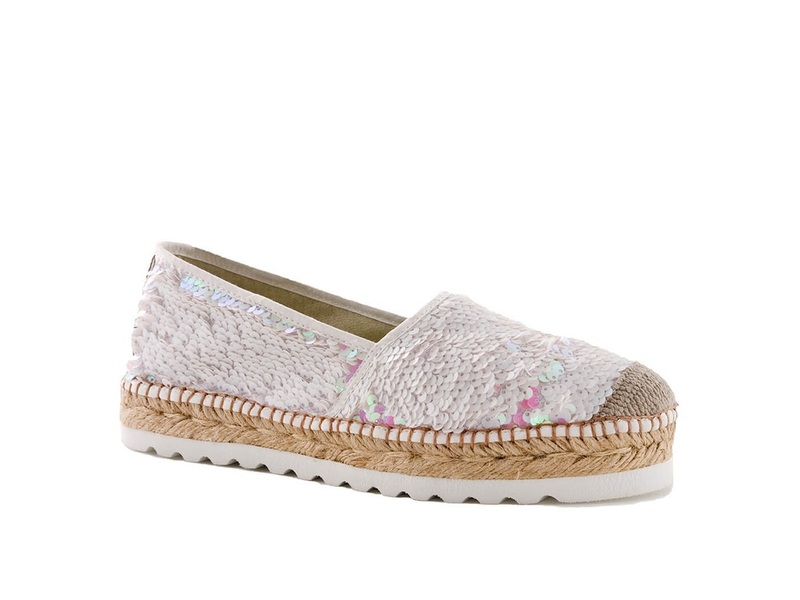 AEDO Espadrilles is a must-have brand for all espadrilles lovers. 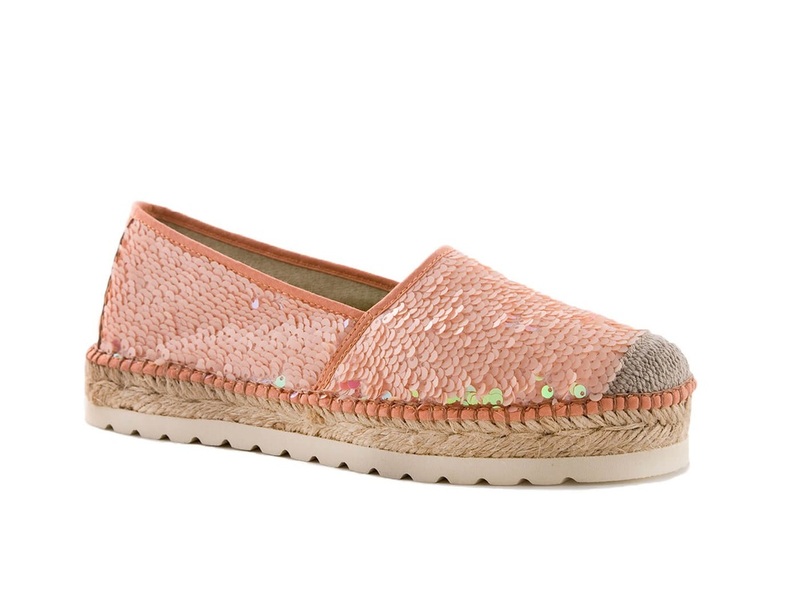 This Spanish company continues the tradition of making its fashionable shoes by hand to ensure their impeccable quality, guarantee of success ever since.